I was a ripwire customer and joined december 2010 on a 12 month contract and since the migration to ask4 I have had slow/iratic speeds high pings etc so decided it was time to change. but when I rang up to get my mac code they said i was on a 18 month contract and cannot give me my mac code until 6th june. as i dont have any paperwork to verify this is there any other way I can prove my contract was for 12 months a few months after I joined then contracts went up to 18 months but that still does not change the fact i joined on a 12 month. Basically the DR only do 18 month deals. It was RiPWiRE who chose to do 12 months at first so ASK4 won't be fully aware of that part. I have left ASK4 myself and ran into the same problem. If you explain to them that pre Feb 2011 RiPWiRE only did 12 month contracts, there should not be an issue. On another point, there isn't a MAC code process for Digital Region. With it being fibre, there isn't an MAC process build for it yet. What will need to happen is that you request ASK4 to cease the line (takes up to 10 days to happen)..and then the NOC/Thales Provisioning need to remove the tag (as its all manual and they are *cough*slack*cough*) for you to then submit an order with a new provider. If you intend to stay on the Digital Region network, if you notify the provider you wish to move to, there isn't a switchover needed so to speak as its just paperwork. To be honest, moving to LittleBigOne may not be the answer here. The issues with pings and throughput is a known issue on Digital Region at the moment. If the problem is with the network, moving may not prove to be the correct way of resolving your issue. Last thing you want is to be put into an 18 month contract. If you remind me to PM you later (currently at work so my time is limited), I will try to point you in the correct direction for proof ..No promises they will accept said proof however!. Its worth a shot lol my speeds used to be pretty constant with ripwire I almost always got full dl/ul but since the migration dl can be anything from 15-40Mb/s and upload sometimes can reach 10Mb/s but mostly is around 4-5Mb/s. On a serious note, everyone's connection has suffered since the NOC made unnecessary changes when all ASK4 asked was to change them over to their ownership detail. That ties in with your problem. I'm not against any network on Digital Region (although some posts at times make it look that way! ), but it may be wise to stick with ASK4 at the moment until these issues can be fixed and then evaluate everything. Following on from that, you are not going into an 18 month deal with potentially the same issue. The LittleBigOne checker is screwed. ISPReview had already commented on this and I've sent numerous communications to them yesterday and this morning to atleast look at taking it down for review...so far they can't be bothered to answer. I also have a BT Infinity line (Option 2) and it just pisses over my Digital Region line at the moment. Pings between 15ms and 35ms and consistent 38.5mb and 9.4mb speeds. When I left Ripwire in January, I had already questioned the contracts back in September 2011, when I was having issues to confirm that I was on a 12 month contract as per originally agree and seeing their webpages were updated to reflect 18 month deals. I was informed that my contract was up in Oct 2011 (I joined in Oct 2010) so at that time I know the contracts were only 12 month contracts. 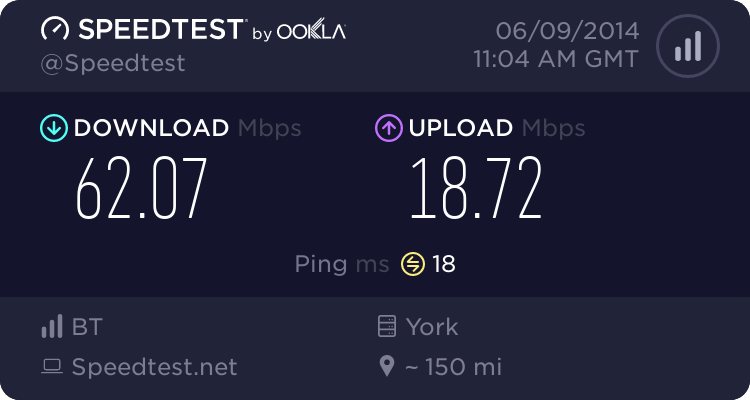 I also agree with @SpencerUK regarding BT Infinity and that since leaving the network I've had better connection and pings from 5ms to 15ms on a regular basis. I've also been upgraded to their 80/20 service and so far have had no problems with that either. I was definitely on a 12 month contract with RipWire which expired on Jan 31st 2012. 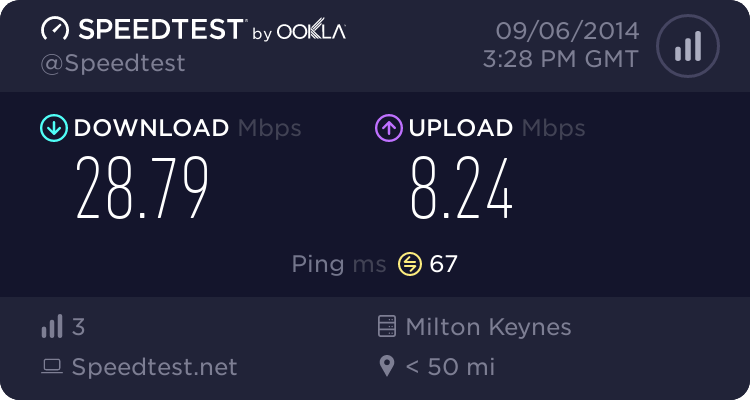 I may be looking at moving to BT Infinity or PlusNet fibre in the near future as the BT FTTC has been installed on my road in the last week so will probably go live in the next few weeks. Not decided whether or not to move yet, but I just have this feeling that DR is going to struggle along for a while before having the plug pulled. It would really be a shame as I've had excellent support from Ask4 so far, but I think Thales/NOC are getting in the way at times. Maybe things will be better when the network is taken over. If Ask4 tell me that I was on an 18 month contract I'd want to see their proof! I've got a copy of my first invoice which shows I was activated on 31st Jan 2011 when they were still selling 12 month contracts. I am not bothered about entering into a new contract with LBO plus they are not charging me the £50 installation fee because i am already on the DR network. also do you know if I need to return the cellpipe or is it mine to keep as a spare.